Yuhong Group products contain raw material to finished products. Monel 400 , K500 . Material: Hastelloy , Monel , Inconel, Incoloy , Stainless , Duplex, Super Duplex , Copper-Nickel , Ti , Chrominum Alloy . 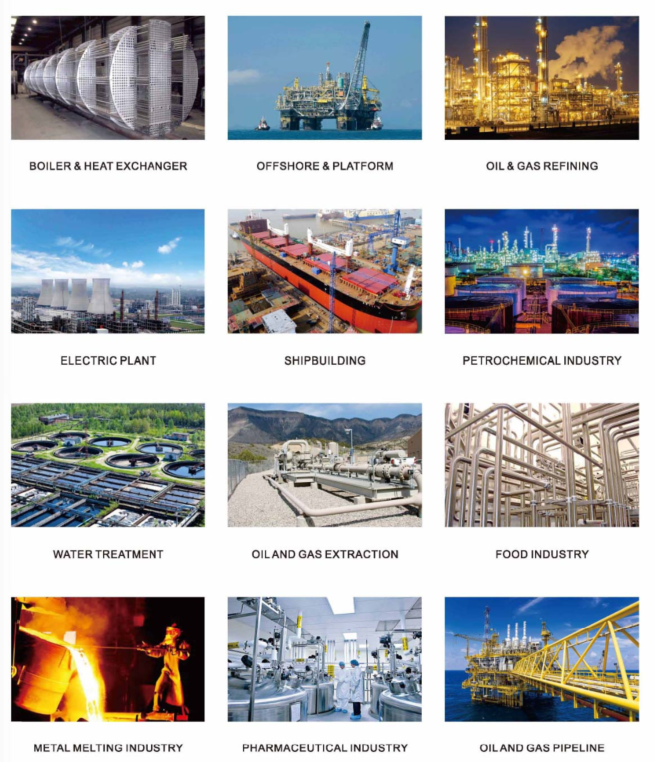 Boiler & Heat exchanger, Cooler plant, Petrochemical industry, Natural gas and Oil industry,Environmental protection, Pharmaceutical, Chemical, Food machinery, Water supply and Waste water exchanger plant, Shipbuilding Industry , Offishore & Platform project and so on !